Layer 1 - Cut a piece of the Pathfinding Paper Pack, at 4.75" x 4.5", using a sponge dauber and Autumn Terracotta Ink Pad, Ink the edges. Use a tape runner and adhere to card base. Layer 2 - Cut a piece of Colonial White Card stock at 4.25" x 4". Ink Season of Thanks (D1604) background stamp by using sponge daubers and a mixture of Olive Ink Pad, Autumn Terracotta Ink Pad and Goldrush Ink Pad. Use a tape runner to adhere to layer 1. Accent - Using a black archival ink, stamp 3 each on White Daisy cardstock the pumpkin and 2 different types of leaves from the Thankful Heart (B1463) stamp set and color/blend with Shinhan Markers ( I used Y49,Y222,YR24,R11,GY235,BR96,G46 & GY234). 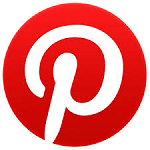 Fuzzy Cut all images, leave a small border around each image. Cut small pieces of 3-D Foam tape and adhere all to bottom of the card. Add Gold Bling Accent to Flap. For the inside of the card, cut a piece of the Pathfinding Paper Pack, at 4.5" x 3.75", using a sponge dauber and Autumn Terracota Ink Pad, Ink the edges. Use a tape runner to adhere card base. Lastly, cut a piece of Colonial White Card Stock at 4.25" x 3.5" using a sponge dauber and Autumn Terracota Ink Pad, Ink the edges. Use a tape runner to adhere on top of Pathfinding piece. This is a simple and fun Halloween layout designed on the Cricut Design Space using images from Close To My Heart's Artbooking Cartridge. You can make this card in a variety of sizes and can easily mass produce in little time. 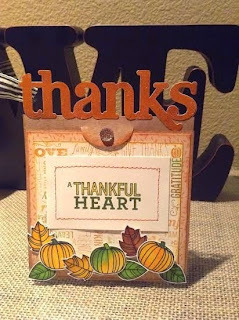 Card Base - A2 size (5 1/2" x 8 1/2") using Autumn Terracotta card stock score at 4 1/4" and fold. Layer 1 - (Cobweb) Set your image size to 4" X 5.25" and cut on a Daisy White card stock. 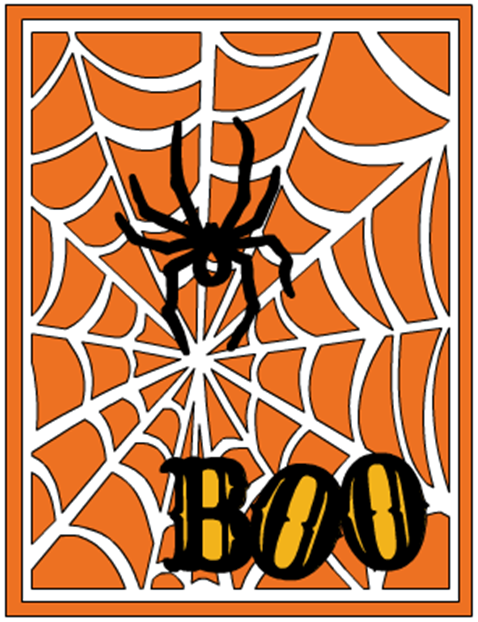 Title - "BOO" Use a Black card stock to cut the "BOO" image at 1 1/4" X 3" on your Cricut Machine. If you have a Cricut Explore, you can create a shadow layer on Cricut Design Space by removing the interior contours (or the visible holes) using the Gold Rush card stock. Accent - Cut the Spider image using the Black card stock, at least 2" in size. I recommend using CTMH Liquid Glass or Bonding Memories glue pen to adhere the layers and foam dots to give the accent and title some dimensions. Feel free to add your own touch to this quick and easy card. 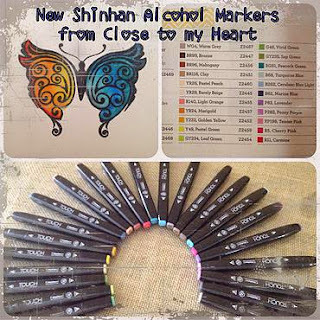 These are the new Shinhan Alcohol Markers available through Close To My Heart. CTMH offers 24 colors and a colorless blending marker that coordinate very well with their card stock and ink color palettes. The markers are double sided, one broad and one fine tip. I have tried these markers and I love them, they are very easy to use and the colors blend well with each other. The butterfly image is from "Your Own Kind of Wonderful" Stamp Set item number D1627. If you don't have the new Annual Inspirations catalog and a Close To My Heart Consultant, I would love to send you one and earn your business. Please send an email to luvz2scrapbook@gmail.com with your name and address and I will be glad to send one to you. 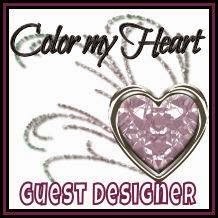 You can also visit me at luvz2scrapbook.ctmh.com to browse around or place an order.